Why is or was dotPhoto down? If dotPhoto is working, please try your phone or another way of accessing dotPhoto until you can repair your preferred connection. This may be because dotPhoto uses Amazon's S3 servers, which can, but rarely experience access outages. Even so, your data is backed up in multiple data centers. Amazon notes that its S3 service "is designed to deliver 99.999999999% durability, and scale past trillions of objects worldwide." By "durability," Amazon means that the data is durable, though perhaps temporarily not accessible. The longest outage we have experienced is four hours. If you would like to know more, contact dotPhoto here. 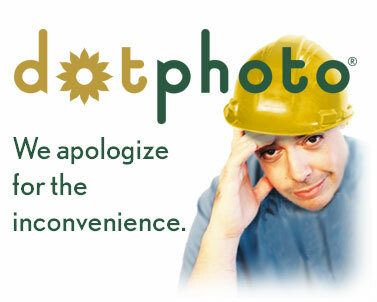 To see if dotPhoto is back online, please click here.